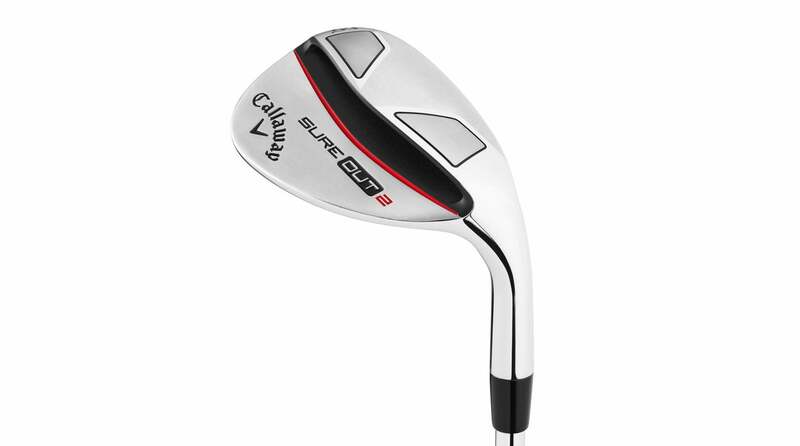 The brand-new Callaway Sure Out 2 wedges improve on the original Sure Out model. For those who struggle with sand shots or basic short game shots in general the Sure Out wedge from Callaway was a lifesaver. 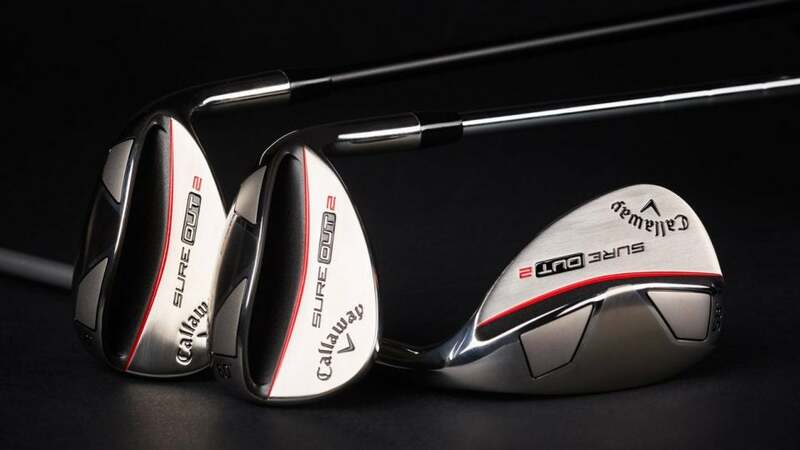 The new Callaway Sure Out 2 wedge ($119.99) builds on the previous design with some key changes, the most important of which is improved playability from a variety of lies, not just soft turf or deep sand. To accomplish this, Callaway engineers added more relief in the heel area and also altered the sole radius and bounce angles. The result is an ultra-forgiving wedge that can be used to play a wider variety of shots in addition to basic square faced options. In addition, the new Callaway Sure Out 2 wedge features 17 full-face grooves with an aggressive spin-enhancing pattern to help average players produce more stopping power on the greens. A look at the grooves on the Callaway Sure Out 2 wedge. The new Sure Out 2 also features 17 full-face grooves with an aggressive spin-enhancing pattern to help average players produce more stopping power on the greens. Other features include a new Step Down grip (designed in concert with Lamkin) with three markings that help players standardize their carry distances, and a choice of premium shafts including KBS Wedge 90 steel, UST Mamiya 65 graphite and Fujikura Women’s 50 graphite. The Sure Out 2 wedges will be available in 56, 58, 60, and 64-degree lofts in both right and left-hand options. 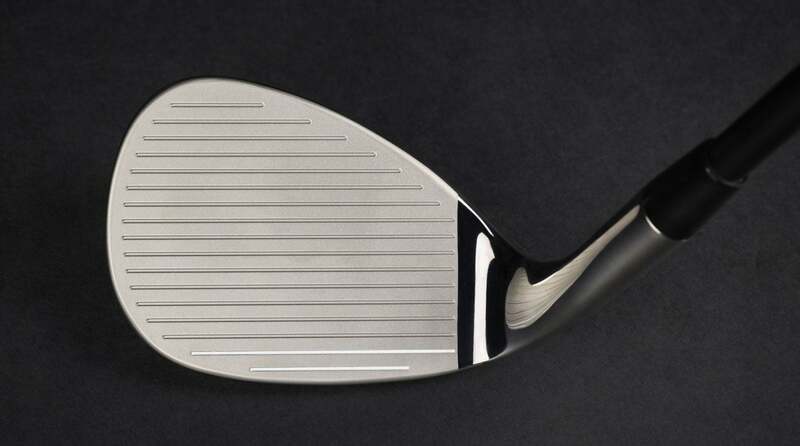 Another view of the Callaway Sure Out 2 wedge. The new Sure Out 2 wedges will be available at retail on Friday, April 12th. Yo, Gear Guy! Do all companies offer custom wedge stamping? What’s the deal with the date stamped on Bill Haas’ Vokey wedges?